You may know Medtronic for insulin pumps and CGM, but we aspire do much more. We’re broadening our focus to be a more holistic diabetes company and our desire is to meet the needs of the millions of people globally impacted by diabetes. We will continue to strive to provide solutions for people with diabetes, wherever you are in your diabetes journey. Maybe you or a loved one is new to insulin or not quite ready for a pump? If so i-Port Advance® injection port might be right for you. It makes taking shots easier for you. No one likes needles and we understand that. 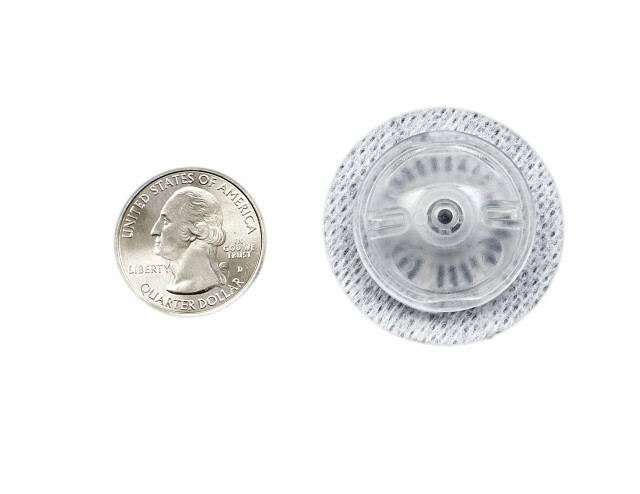 It’s a small and discrete patch that is the size of a quarter and sticks to you like a Band-Aid that you change every three days. This means you don’t need to poke your skin every single time you need to take a shot. It’s especially beneficial to children, who often get anxiety when it’s time to take a shot. 3. How does it change my experience with shots? If you take an average of five shots a day, you can reduce the number of times you poke yourselffrom 150 to 10 in just 1 month! That’s 93% less pokes! A small and round piece of plastic with a needle will apply an injection port to your skin with a quick poke. The abdomen, upper thighs, back of arms, hips and upper buttocks are all good locations. Once the port is inserted, you can put a syringe or pen through the port any time you need a shot over a three day time period. You can use it with both pens and syringes. Needles need to be 5-8mm in length and 32-28 gauge. Well, you can use both, but there is a rule: always inject rapid acting insulin first, then wait one hour, then inject your long acting insulin. In a patient survey: 98% think it’s comfortable to wear, 99% find say that it’s more beneficial than shots, and 100% reported that it helps decrease anxiety1. 9. How much will it cost me? It’s $96 for one box of 10 ports (1 month of supplies). We’re continuing to work on insurance coverage and cost-saving programs and would be happy to work with you to determine your options. 10. What if I just want to try it first? We’re pleased to announce that we’re offering a free trial with a prescription from your doctor. You will receive 2 i-Ports so you can try it for a total of 6 days. To learn more or request a free trial, fill out this form or call 888-360-3244.
i-Port Advance injection port is prescription- indicated for patients who administer, or to whom is administered, multiple daily subcutaneous injections of physician prescribed medications, including insulin. The device may remain in place for up to 72 hours to accommodate multiple drug injections without the discomfort of additional needle sticks. Site infection and/or irritation is a risk. Patients experiencing such symptoms should immediately consult their healthcare provider and/or discontinue use. For complete details, please consult i-Port Advance product user guide.